The BMW 8 Series might be out but so far we’ve only seen a small fraction of what the 8 is supposed to bring out. Apart from the Coupe, we’re also going to see a BMW 8 Series Convertible, a Gran Coupe and their M versions. In total, we’re going to have about six different cars with the number 8 on the boot and the one that’s going to be unveiled next is the Convertible. BMW started a teasing campaign today by publishing a set of photos of the drop top, taken in Death Valley. The location hasn’t been picked by accident. That’s because the environment in this particular area allows engineers to do some thorough testing in harsh weather. 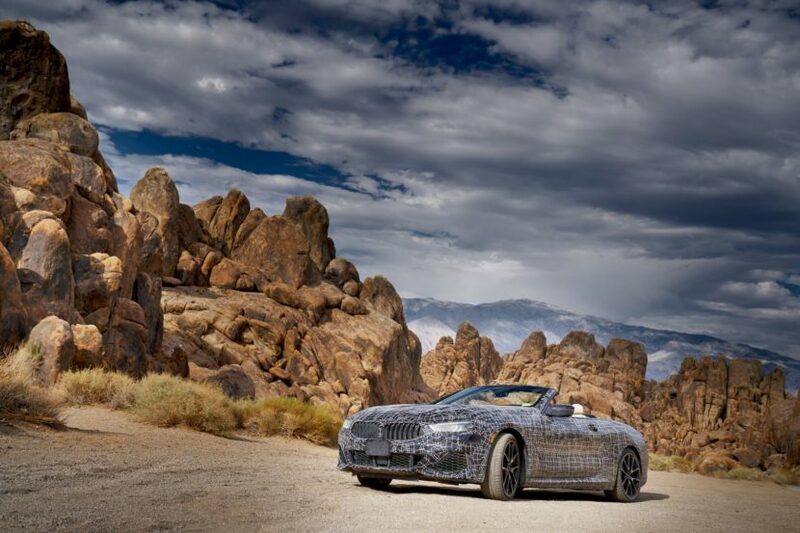 Temperatures of more than 50 degrees Celsius, extreme dust formation on the edge of the desert, stop-and-go traffic on the Las Vegas Strip, gravel tracks around Mount Whitney and long-distance journeys between the Pacific coast and the Rocky Mountains characterize the challenging test program for the new BMW 8 Series Convertible on its way to series maturity. 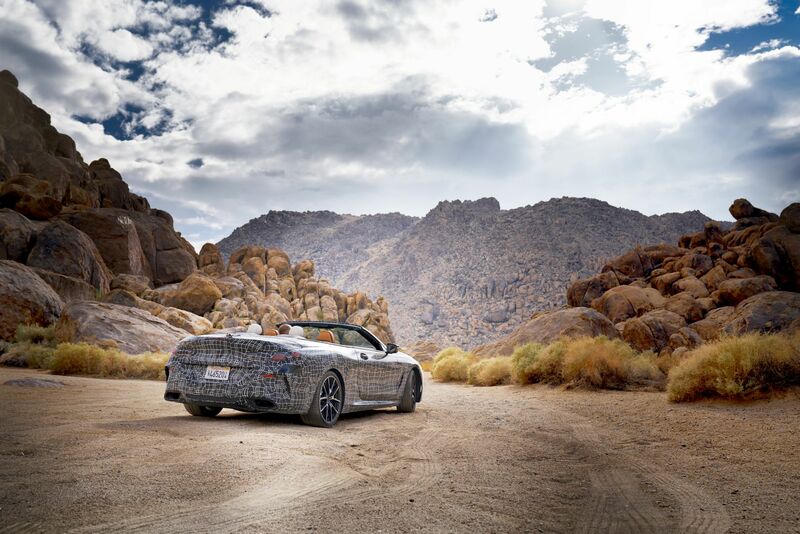 Therefore, the weather conditions in Death Valley are not exactly perfect for a drop top. However, the heat and the extreme dryness of the national park in the Mojave Desert do create the ideal conditions for an acid test of a special kind. Inside a prototype of the BMW 8 Series Convertible that has previously stood for hours in the blazing sun, BMW engineers check the onboard electronics, the hi-fi system, sensors and cameras for the driver assistant systems, displays for the new BMW Operating System 7.0, connectivity functions, seat adjustment and, at the very end, the automatic climate control. Furthermore, on endless tracks leading across the steppe and through the legendary Death Valley, the dust-proofness of the multi-layer soft-top and the roof mechanism are put to the test. Hot climate testing has a similar level of significance for the series development of the new BMW 8 Series Convertible as has the program at the Winter Testing Centre in Arjeplog, Sweden, as well as intensive test drives on the BMW Group proving ground in Miramas in Southern France and on the Nürburgring. Only when thousands of kilometers have finally been completed can developers rest assured that the car is ready for launch, a moment that is closer than you’d think.